The Grand Canal, or ‘Canalazzo’, doesn’t just connect Venice’s top tourist attractions, it’s one of the main attractions itself. This 3.8km long water way splits this one-of-a-kind city in two. It runs from Santa Lucia railway station all the way to the basin at San Marco, making an ‘S’ shape through the centre of Venice along the way. On each side you’ll find incredible buildings, beautiful sights and historic bridges to marvel at. The Grand Canal is also considered to be Venice’s main ‘street’. Each day it’s buzzing with traffic including traditional gondolas and busy water taxis to bustling ferries, slick speed boats and working barges. Lined with grand palaces from the 12th to the early 18th centuries, the canal’s banks are a sight in themselves. It’s where anyone ‘of note’ once lived and the palaces can only be accessed from the water. You can see these incredible buildings by boat from San Marco to Porta Roma. Whether you prefer to explore the Grand Canal by boat or on foot, you’ll be taken aback by the views and the city’s beauty. Here’s what you shouldn’t miss when you’re visiting the Grand Canal in Venice. Venice is beautiful at all times of the year. It gets overcrowded in the summer months, while the winters are mild and less popular with tourists. The Grand Canal is the main ‘street’ in Venice and comes to life with its unique Venetian charm from early morning until late evening. It’s no surprise that the best way to see the Grand Canal is by boat. 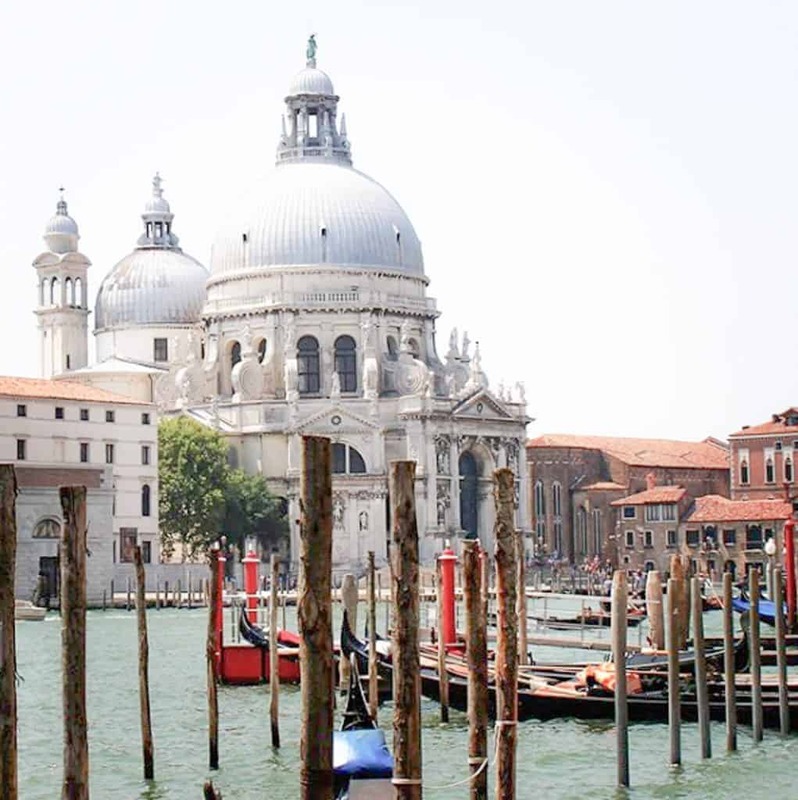 Sailing from one end of the Grand Canal to the other between Santa Lucia Railway Station and St Mark’s Square will take approximately half an hour by ferry. 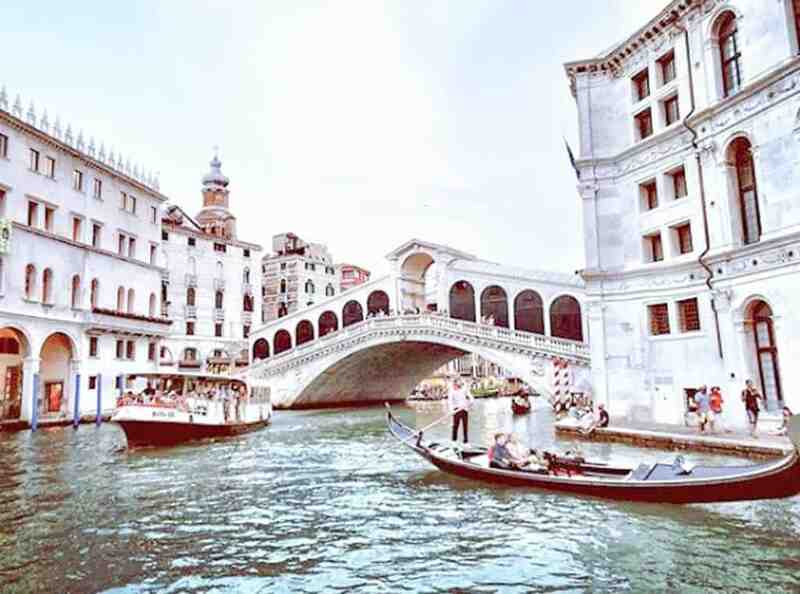 If you prefer to explore on foot, you can wander along the winding roads and paths and make use of the four bridges crossing the Grand Canal to get views over the water. The Grand Canal is buzzing with tourism by day, so you can dress however you feel most comfortable. Summers get very warm so wear light layers. In winter the weather is generally mild but you’ll still want a heavy coat to stay warm. 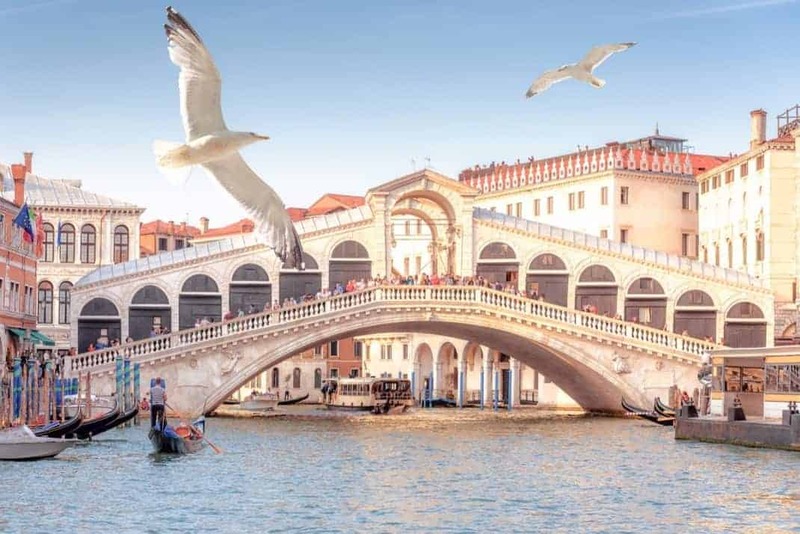 The Rialto Bridge is the most famous of the four bridges that cross the Grand Canal. You’ll find it at the narrowest point of the canal, right in the heart of Venice. This 500 year-old bridge was once a wooden drawbridge and the only one in Venice. It allowed people to cross on-foot while also making room for sailing ships to pass through when Rialto was the commercial hub of Venice. Lined with arcades on either side, the bridge has beautiful views over the Grand Canal and is a fantastic photo spot. You’ll find this 17th century Baroque church guarding the entrance to the Grand Canal. It was originally built to celebrate the end of the 1630 plague that killed over 80,000 Venetians. As soon as you step inside, you’re drawn towards the enormous dome up above. The church is also home to many great pieces of art, including Tintoretto’s ‘Marriage at Cana’ which celebrates the miracles of life during the time of the plague. If you love modern art then you can’t go past the Peggy Guggenheim Collection. 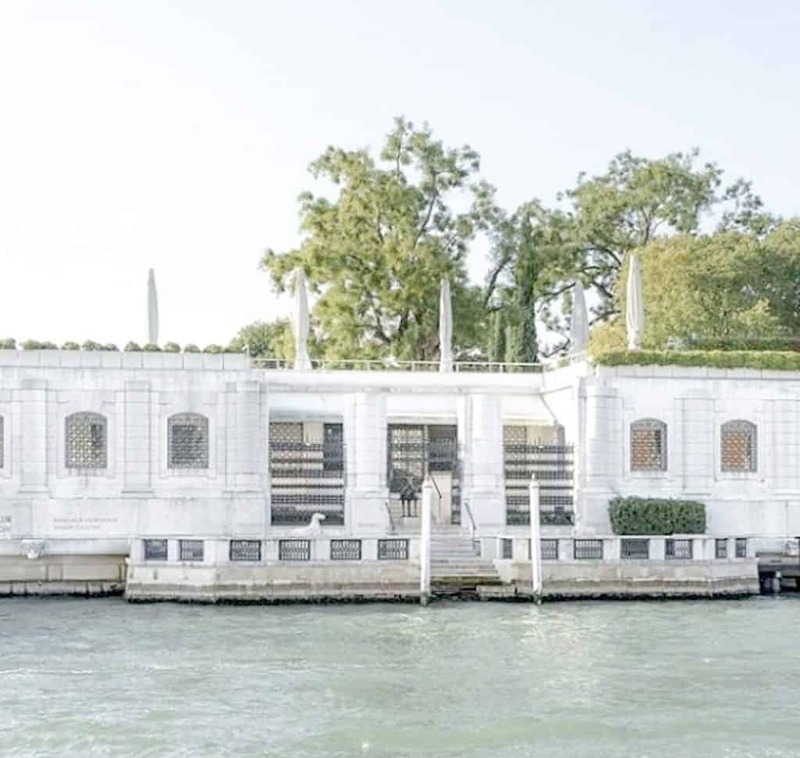 You’ll find this modern art museum inside Peggy Guggenheim’s former home on the banks of the Grand Canal. Its impressive collection of art is what makes the museum one of the most popular tourist attractions in Venice. Housing the American art collector’s personal collection, you’ll see cubist, abstract and surrealist work by the likes of Max Ernst (Peggy Guggenheim’s husband), Picasso, Braque, Dali and Chagall, amongst many others.